With nice weather its an early start on the way to Lincoln. 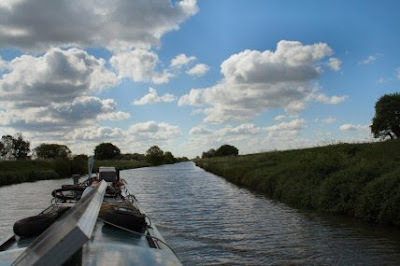 Once away from Torksey you come to the straight bit. This particular one is two miles long. Very boring really with the flood banks hiding all that is beyond. 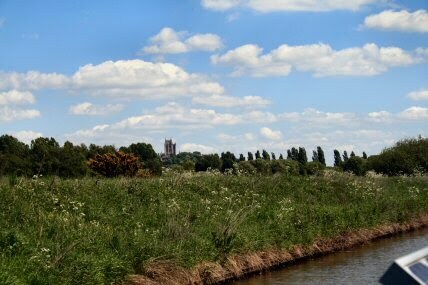 The outskirts of Saxilby appear and through the railway bridge to the moorings. There is a new display board gone up on the road by the mooring to show where the shops etc are located. My favourite mooring along here is at Saxilby. Nice and quiet and I have some fond memories of being here in the past. Stop for an hour to make a cuppa and visit the charity shop. Picked up a couple of CDs and a DVD for Abz to watch while she is on board this weekend. Chugging on slowly. I found a way of fixing the knocking sound. I wear headphones and listen to music. 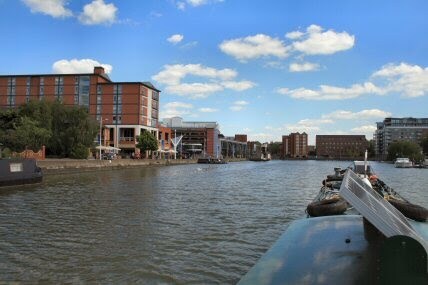 Sorted.When I reached the Pyewipe Inn the Brayford Belle was turning around to take her passengers back into Lincoln. Just after the inn the cathedral came into view through the trees. It stands out on the hill and shows up on the sky line for miles around. Lincoln is approached in the beginning with the long line of residential moorings on one side and the golf course on the other.Things don't seem to have changed a lot since the last time I was here. 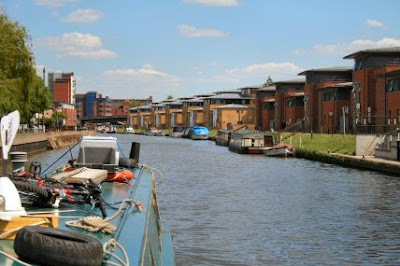 After the BW Service block there are more moorings outside the university. 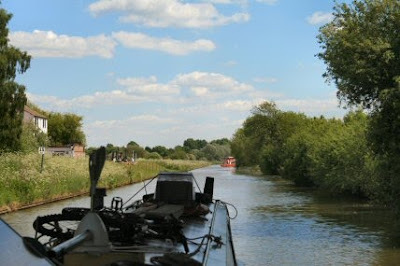 It is somewhere along here that I will be having a temporary mooring for a couple of months. 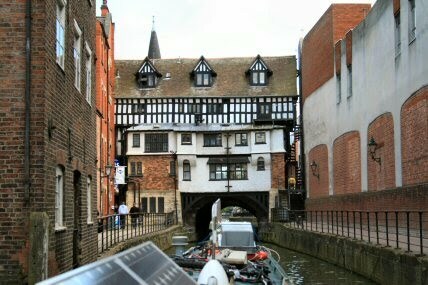 Now the exciting bit of Lincoln :-) Into the Brayford Pool with the quayside cafes and bars along with the Barge restaurant. 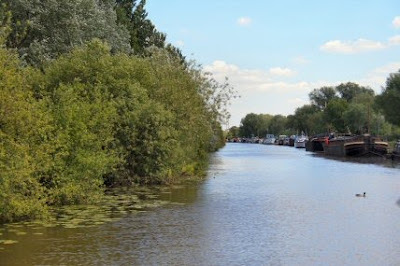 There are moves afoot I read to start making some improvements here for boaters. All I can say is that its about time. The famous Glory Hole with the shops above and gents loo on the other side. I mention that as you used to be able to see the medieval footings inside it. 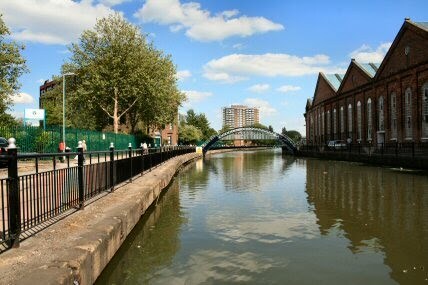 The view from the bows looking down to Stamp End Lock. 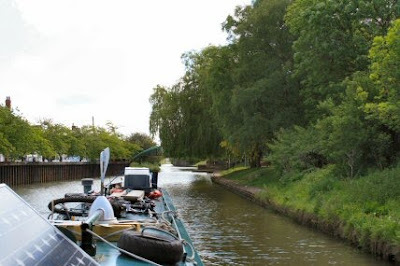 I am staying here for a while as I wait for Sandy to get back to me with the mooring details.